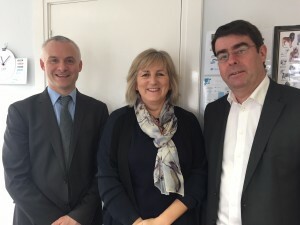 The UK and Irish national trade associations NOAH (representing the UK animal medicines industry) and APHA (representing animal and plant health in Ireland) have met in Dublin to discuss matters of mutual interest. With Brexit high on the agenda, the associations have committed to work more closely together to support their members, who supply veterinary medicines in both markets, and to help ensure future availability of veterinary medicines to support the health and welfare of UK and Irish farm livestock and pets. With both associations active members of Animalhealth Europe, APHA and NOAH will continue to keep in close contact and to meet again. NOAH represents the UK animal medicines industry: its aim is to promote the benefits of safe, effective, quality medicines for the health and welfare of all animals.